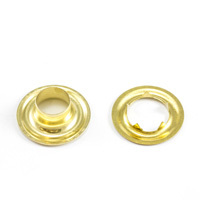 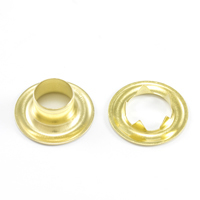 Find a wide range of durable brass grommets with tooth washers below. 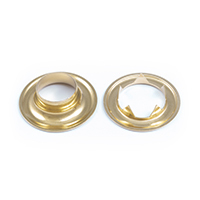 Made from malleable brass, they deliver impressive staying power and resistance to corrosion. 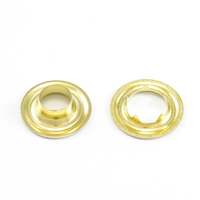 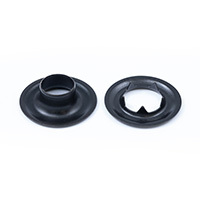 Available in convenient sets, the grommets and washers come in standard brass and black-coated options. 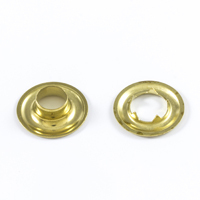 The metal grommets are specially developed to fortify holes in fabric. 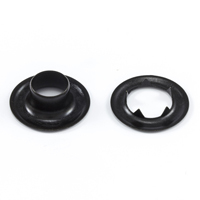 Select from a variety of styles and sizes to best meet your project's demands. 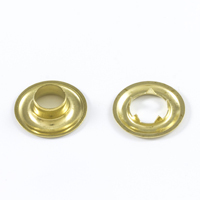 Ideal for use in drapery, curtains, and vinyl banners, these grommets and tooth washers provide a firm grip. 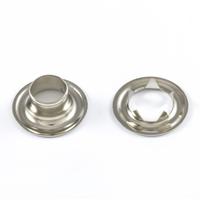 They are also great for custom outdoor upholstery, marine fabric, awning canvas, and other projects involving woven material. For a short explanation on which types fit which uses, head to our main Grommets page. 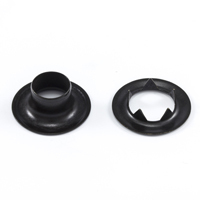 Combine with uniquely fitted cutters, setting dies, and dead blow hammers for quick and easy installation.